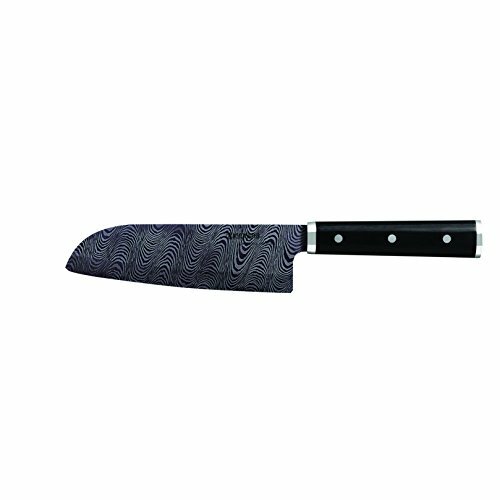 Kyocera's Premier Elite Series features our finest HIP ceramic blade for superior strength and sharpness. Etched with beauty, the blade is perfectly matched to a magnificent black Pakka wood handle. The premium ceramic blade is Hot Isostatically Pressed (HIP) which provides superior strength and sharpness. The flat sided oval handle design is inspired by the shape of a Koban, an old Japanese gold coin. The handle also features Stainless Steel rivets and bolster. The etched design on the blade is reminiscent of a traditional Japanese zen sand garden (karesansui). Manufactured in Japan for superior quality. Limited Lifetime warranty.